Order online securely using your Visa or MasterCard or Contact us to organise alternative payment. 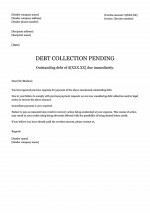 Download our Debt Collection Letters for FREE! Simply subscribe to our mailing list for some great tips regarding debt collection and credit management, in addition to our seminar and training updates and we'll send you a link to download our Letter of Demand templates for free! Our letter of demand templates have been designed for use in your business's day to day debt collection activities. 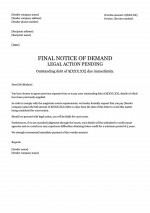 Letter of Demand 1: An initial 'assertive but not aggressive' letter of demand, designed to alert your debtors that they have breached your trading terms, but ensuring not to alienate your customer. 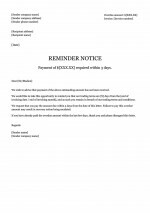 Letter of Demand 2: A more authoritative second demand letter which can be used as a follow-up to Letter 1, or on its own if negotiations with your debtor have proceeded poorly to this point. This letter requests immediate payment and warns that legal action may ensue if your demands are not met. Final Demand Letter: The challenging final demand letter takes all legal aspects of issuing such a notice into account and indicates to your debtor that this is their final chance to avoid legal action should you pursue that option. It outlines the penalties that will be accrued by your debtor should they fail to pay and have a judgement awarded against them in court. For best effect, we recommend using these letters in sequence, or begin with the second letter if the situation warrants it. We find that inexperienced debt collectors invariably choose to send the Final Demand notice as their only demand letter, expecting it to cut to the chase and get the best results. Experience shows, however, that an initial letter with a short payment window can often result in money in your account sooner and prevent alienating your customer. For absolute best results, your letters should be sent by an established Debt Collection Agency. We find that debtors are more likely to pay if a professional agency has been engaged. We therefore recommend using our cost effective online debt collection service, Collect It Online. Don't pay exorbitant Debt Recovery fees! Learn our Debt Collection techniques and do away with Debt Collectors! Content Copyright © 2015 Collect It Now Pty Ltd (ABN: 22 140 377 788) trading as Collect It Online. All rights reserved. Adelaide Web Design and Development by Zen Design. Navigate your way around the site and visit our most popular resources. Share in our vast experience with this collection of tools, services and products.